Oh what a wonderful atmosphere you give… the compound words and the assonans of the poem adds so much… those two crows in the tree, as well as the scenery of a leaf-less graveyard with words of bones and dust… love it. The gothic atmosphere in this is wonderful. You’ve worked the language through this so well. many thanks for your feedback Carol – I aimed to evoke Dylan Thomas and Spring but the setting plus rooks strayed into Graveyard Poetry! Nice sound throughout. I like the thought of that rookery rocking in the wind and evening’s decaying duet. Oh joy, we can create our DT-cloned poetics; what a fantastic prompt! Your poem illustrates your prompt with gusto and charm. It even feels like a poem of the past, something left on a Church posting in Milkwood. You had me at /plundering down to a white-faced hunger for worms and fledgling flesh/. I love this, Laura, from the title right to the final word! You’ve captured the rhythm of the wind in the line ‘a nine nest rookery rocks queasily’ and the alliteration makes it so rich. The scene is painted in such detail, with the ‘medieval mildewed stones’, root-grubbing builders’ ‘cacophonous grumblings of whose is what / and what is where’, the ‘Jack black daws bicker’(faint echoes of Under Milk Wood there!) and dusk settling ‘hush-hush on sloe-eyed April’. Delectable writing! I can only say ‘thank-you’ Kim – a word compound that doubles up the gratitude! I love the sounds of this–and there’s some humor, too, I think, as in “the grave-groping root-grubbing builders” with their “cacophonous grumblings.” I like the alliteration and the atmosphere you create. I would love to hear this read aloud. You’ve painted a world here. This was fun to read. My favorite phrases are: “Jack black daws bicker / and twitter in fast flowing flights of fancy.” Plus I love those last few lines. You might have gathered that I am a big fan of rooks. I love this portrait of them – the intelligence, the reputation of evil, the whole graveyard thing. So many great lines, and great use of those compound words. I LOVE THIS PROMPT!!! 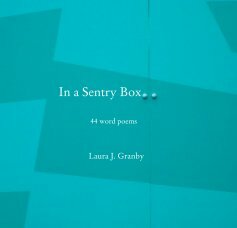 Such a wonderful prompt – thank you for hosting Laura. ahhhhhh. the visuals so clear painting this haunting atmosphere. and then the final duet. beautiful! yes, i did. you’re welcome, Laura. Really love this so picturesque of the birdlife! I liked this one very much. The word compounds slip seamlessly into the lines without drawing attention to themselves. You’ve made them your own. You didn’t. To my taste, too many of us over-used them, sometimes where they muddled rather than created the right image. Yes, a recording would be fun for this fantastic piece.